Booking: Public event. No booking required. 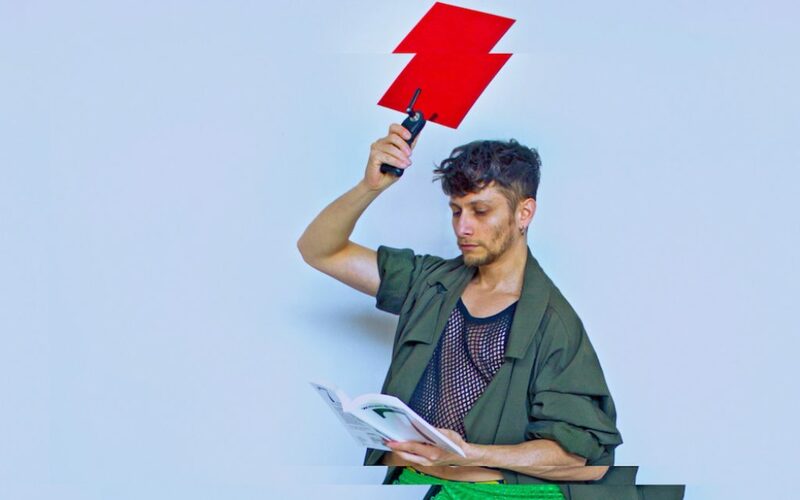 Alex Mirutziu, who has an ongoing exhibition at the foundation this season, presents Doing sub thinking, a new performance work for Block Universe festival, co-commissioned with Delfina Foundation and European ArtEast Foundation. Referencing philosophical thought, national displays of power and collective agency, the work seeks to illustrate the performative forces at play in society. Exploring the de-personalisation of an individual within a crowd, Mirutziu will bring the audience on a journey to make manifest the intangible gaps between thought and action within group dynamics. Work will be performed twice, starting at 14:00 and 15:00. The performance duration is approximately 40 minutes. Following the performance there will be a reception at Delfina Foundation from 16:30, with the final chance to see Alex Mirutziu’s exhibition, Between Too Soon and Too Late, on the show’s final day.